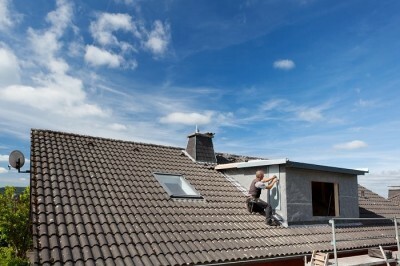 Is your home in need of repairs to the roof? Do you want to get better use out of your chimney or change it? If these apply to you, then you need to call ProRoofing today on 01202 518 763 and speak to a member of our friendly team. We are professionally qualified and experienced roofers that can give you the best roofing repairs in Dorset. Why not call us today for a free survey, consultation and no-obligation quotation? ProRoofing is unbeaten when it comes to roofing repairs in Dorset. Our dedicated team of skilled professionals deliver exceptional customer service, which will leave you feeling confident that you made the right choice. Our training and experience mean we can tackle a vast range of different projects, big or small, so no matter what kind of Dorset roofing repairs you need, you only need to call us. Whether it’s a single roof tile, or a complete chimney stack replacement, we can handle it efficiently and effectively. Our qualifications and experience extend through all of these services and our motivation to exceed all of your expectations drives us to produce the best results for roofing repairs Dorset. No other contractors for Dorset roofing repairs can match our determination and workmanship, so if you are in need, there is only one team to call – ProRoofing. This method of roofing is incredibly effective when utilised and installed properly. They can, however, require regular maintenance, develop leaks, and require roof repairs in Dorset all too often. Luckily, we have the solution for most of the problems the roof can develop. Being a registered contractor for Kemper roofing repairs in Dorset, we can supplement your flat roof with the Kemper system and stave off those nasty leaks. The waterproofing performance of this system has been proven time and time again. The Kemper system is an effective utilisation of the patented KemperolTM­, which is a liquid compound that is soaked into a fleece layer. This fleece layer lies within the layers of the flat roofing construction and provides a waterproof layer that can help prevent you requiring roofing repairs in Dorset so often. While slate roofs are charming and great to look at, when they are installed incorrectly or carelessly, they can provide no end of issues. The omission of high-backed gutters and the insufficient underlayment used in the process usually end up causing the owner thousands of pounds in easily avoidable water damage. It has been a common problem that has required out exceptional roofing repairs in Dorset to rectify. Contrary to what some contractors may suggest, it is always advisable to proceed with repairs using a matching slate to the ones originally used. This means replacing damaged artificial slate with new artificial slate, and, likewise, natural slate is replaced with natural slate. This is standard procedure in our Dorset roofing repairs. ProRoofing has got you covered for chimney repairs and improvements with our roofing repairs in Dorset. Things like anti-bird guards, flue cleaning, and anti-draft chimney caps are all brilliant additions to a chimney that suffers from repeated problems. We can also maintain, repair, or replace the leadwork around the chimney to ensure water tightness and overall health. Especially prominent in older buildings (although newer buildings can be affected too); the chimneys are not built or optimised for weather resistance. This can lead to all sorts of problems later down the line. Downdrafts, smoke leaks, tar build up, and nesting birds can all become very problematic if they are left to fester. Along with rectifying these issues, we can also repair or replace the chimney’s brickwork with our roofing repairs in Dorset as well. 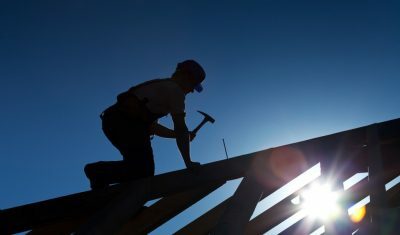 Why Use Our Roof Repairs Dorset Service? 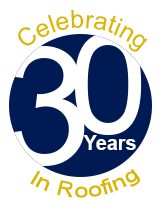 With over 30 years of experience, you will be hard pressed to find any other roofing repairs in Dorset that can give you anywhere near our level of expertise. Our team of skilled tradespeople are the best in their respective specialities, and our skills come together seamlessly to form a cohesive whole. All of our team members are CRB checked due to the work we do with local councils, as well as being fully qualified in all aspects of the work they take on within the project. Our strict implementation of carefully thought of environmental policies means we aim to complete every task using methods that significantly reduce waste products and our carbon footprint. We also recycle wherever possible, and therefore reduce the overall amount of raw materials needed. The world of building is dynamic, so in line with the ever changing currents, we also make sure our methods, policies and skills are all up to date as well. This is so we can continue producing the best results with as little impact on the environment as possible. We are known throughout Dorset for our work on historic buildings as well, and have developed a strong rapport with conservationists so that the buildings remain strong and protected. We appreciate the heritage and value of historical buildings, and do our best to make sure they stay standing for everyone to enjoy. If you are ready to get started on the roofing repairs in Dorset that you have been needing, we are too. All you need to do to get started is give our team at ProRoofing a call today on 01202 518 763 to book in a free survey. Alternatively, if you would like to send your enquiry or booking request in writing to us, please fill in the online form to contact us or email us directly at office@pro-roofing.co.uk. Don’t risk more damage from leaving the roof alone, call the experts today.